It may be a fundamental element in nearly two-thirds of every residential real estate transaction, yet when you think about buying or selling a Hernando County home, it’s not likely to be your major focus. Important though it may be, for most people, the appraisal process seems like a mere formality. After all, haven’t the seller and buyer already agreed to the deal? What’s left to do, other than dot the I’s and cross the T’s? Of course, if you are a cash buyer, you can choose to skip the appraisal altogether. If so, congrats – you are ready to buy as soon as you find the right property! 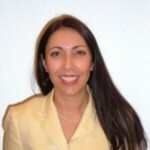 But for the rest of us, if a loan is involved, so too is the lender’s appraisal – or appraisals. Yet many real estate agents are not a part of this element. When it comes to the appraisal, I will admit to being one Realtor who favors the proactive approach. One way to help assure the right outcome at appraisal time is for your Realtor to meet the appraiser at the property — armed with a package of comparables that support the agreed-upon price. Most appraisers may have uncovered the same comps already, but that’s not always the case. If my seller has completed upgrades or improvements, I also like to bring proof to help justify a higher price. Making the appraiser’s job easier is an important part of a Realtor’s job. As a trusted Realtor in Spring Hill Florida, I’ve found that taking an active role during appraisal is an important way to protect my client’s interests. It’s a commitment I make to help insure that each and every closing finishes as planned. If this winter finds you looking for a Hernando County Realtor who will be by your side from start to finish — drop me an email, or give me a call! 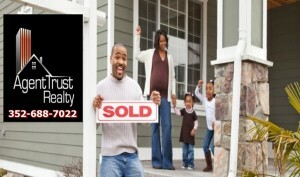 Looking For A Great Realtor In Spring Hill FL? 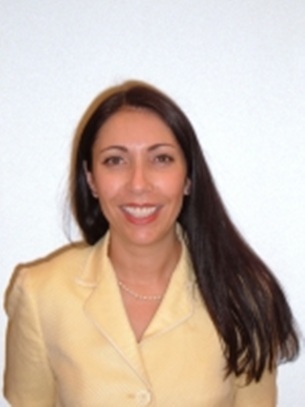 Call Tina Fingerman Today! If you are organized and willing to put in some serious spadework, buying a Hernando County foreclosure can save you thousands of dollars. A new wave of foreclosures could be heading our way later this year. According to RealtyTrac, the leading source of foreclosure statistics, one in every 665 national housing units received a foreclosure filing in June. More foreclosures mean more opportunities; but it also means that more buyers will begin to think seriously about going after them. In other words – more competition. Do Your Research So You Can Act Quickly. The foreclosure market performs differently from the traditional market. Arming yourself with accurate comps and knowledge of Hernando County trends will enable you to recognize the right opportunity as soon as it arises – ideally, before other buyers catch wind of it. Working with a knowledgeable agent who keeps you informed is the quickest way to get up to speed. It will help you avoid being dragged into bidding wars with other deal-shopping buyers. Since under-bidding will cause you to miss the best opportunities, and over-bidding will defeat your whole purpose, up-to-the-moment market knowledge is essential for formulating a canny offer. 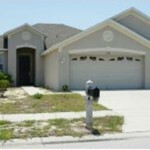 Time is an important factor in buying a Hernando County foreclosure. Your goal is the same as the seller’s: to close the sale as quickly as possible. Naturally, paying cash up front is the simplest route to a speedy closing. If you are buying as an investment, that means targeting only properties that are within your financial reach. As Ron Peltier of HomeServices of America puts it, “A cash buyer who can close in 10 days can certainly get the best deal.” Since closing on a house via traditional mortgage can take anywhere from 30 to 60 days, it is clear which route sellers prefer. If, like many of my clients, you can’t really afford to propose an all-cash deal, you can still create an offer that lands your foreclosure. Writing a clean offer – one with simple terms and serious cash down — can bring a favorable reaction. Let’s face it: bank officers don’t want to fuss with complicated terms or repairs. A buyer with 20% down, a confirming loan and an “as-is” offer will get a lot more consideration than a buyer with an FHA loan and a minimal deposit. Success means targeting foreclosures at a price point where you can afford to put as much down as possible…then being ready to get dirty and make any needed repairs yourself. As with any vigorous market, participants need to play by the rules or else be stuck on the sidelines. If you are considering buying a Hernando County foreclosure and are looking for an experienced agent to stand by your side, call me — and let’s get to work! Research plays a crucial role while finding Florida vacation homes. Go through the website in order to get an overview of the accommodation standards. Many Real Estate listing companies in Florida provide virtual tours of a variety of Florida vacation properties. Going through these tours help you get a decent idea on the accommodation standards available with these Florida vacation rentals. Take some guest references for help. Striking a word with some of the previous guests can give you an actual picture of the quality of service and rooms available at your choice of Florida vacation rentals. Florida without resplendent luxury is not even half the fun. Check up on various Florida gulf vacation homes and buy one that offers your premium luxuries. 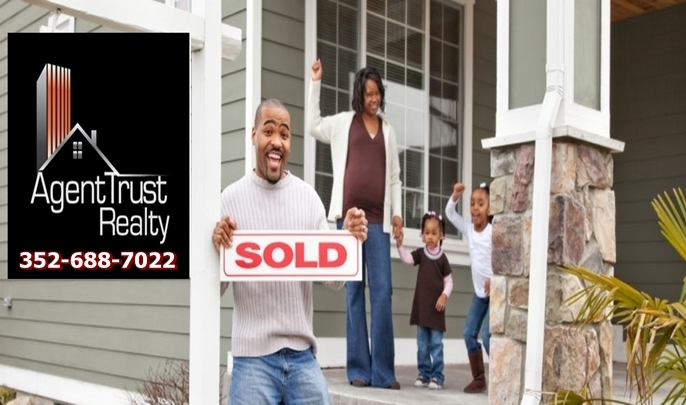 If you are looking for splendid Florida vacation Property your search ends at Agent Trust Realty, a leading Florida Luxury Home listing company that spells luxury, affordability and fun and offers premium services to make your stay in Florida a memorable one. 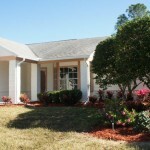 For more details and information or to book a Florida vacation rental, visit www .breeze-vacation-rentals.com.